Efficient – Aeration is a special landscaping method which allows your lawn to grow by enabling nutrients to get in there where they are needed the most. Clean Slate Landscape & Property Management, LLC provides efficient service and will aerate your yard so that the nutrients get through and enables your grass to grow in the best possible way. 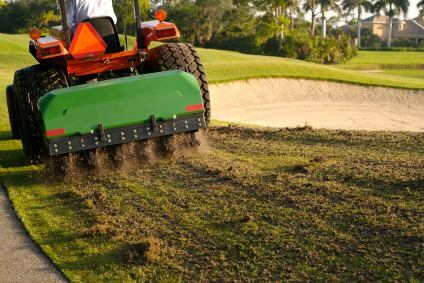 Affordable – Some people skip obtaining aeration services as they think it will not be affordable. However, with Clean Slate Landscape & Property Management, LLC this is not the case. You are sure to love the affordable prices offered by Clean Slate Landscape & Property Management, LLC for aeration services. Aeration is a necessity to ensure your lawn looks its best and Clean Slate Landscape & Property Management, LLC will work with you and your budget to make sure you obtain this important lawn care service for your yard. To learn more about aeration services offered by Clean Slate Landscape & Property Management, LLC and why these services are sure to leave your yard looking fantastic, contact us today at (508) 669-7959. We will schedule a free consultation to take a look at your lawn and show just how we can help you achieve the perfect yard which your neighbors are sure to be jealous of.